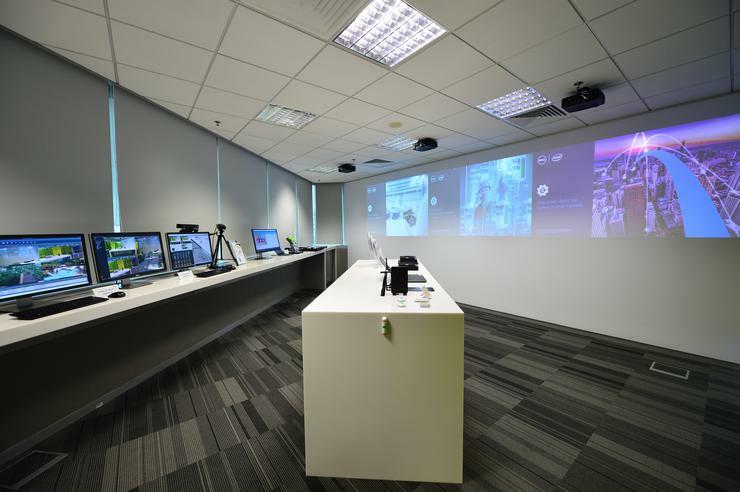 “The IoT market continues to experience strong growth across APJ..."
Dell has opened its first dedicated Internet of Things (IoT) lab in the Asia Pacific and Japan (APJ) region, based within the Dell Solution Centre in Singapore. The new facility, launched in collaboration with Intel, was unveiled by Glen Burrows, Area Vice President, Dell OEM, Asia Pacific and Japan and Prakash Mallya, Managing Director, South East Asia, Intel. The lab features Dell and Intel IoT solutions with end-to-end platform facilities allowing customers to test the products and consult with Dell technical experts, representing the tech giant’s third IoT lab globally, following the launch of its labs in Silicon Valley, U.S. and Limerick, Ireland. “The IoT market continues to experience strong growth across APJ,” says Glen Burrows, Area Vice President of Asia Pacific and Japan, Dell. “We see vast opportunities from IoT with companies benefiting by identifying new business models, increasing operational efficiency and fuelling innovation. “With a strong connectivity infrastructure and the government’s vision to create a Smart Nation, Singapore is the ideal choice for the location of our first IoT lab in the region. Building on Dell’s and Intel’s IoT strategy, Burrows says the facility will focus on enabling intelligent devices and gateways, speeding up the connection of legacy systems to the cloud and enabling end-to-end analytics to turn big data into actionable information. “It will allow customers to build, modify and architect new IoT solutions on active bench space within the lab and have access to Dell technical experts, while capitalising on Dell’s ability to span edge to the data centre,” Burrows adds. The new facility will also allow other partners within the IoT ecosystem, from developers to independent software vendors (ISVs), to utilise a working space to innovate using Dell and Intel IoT solutions. “IoT has enormous potential to drive economic value and social change, but no company can do it alone,” adds Prakash Mallya, Managing Director of Southeast Asia, Intel. “A robust ecosystem is needed to scale. The collaboration with Dell to establish the IoT Lab is a key milestone in realising our shared vision of IoT. “Based on Intel’s IoT Platform, the lab systems will be able to provide a solid blueprint for delivering innovations to market faster by reducing complexity and defining how smart devices will securely connect and share trusted data to the cloud.